Let’s talk tortillas! A wide variety of tortilla options are available at Border Grill from original, cheese-jalapeño, wheat, spinach, and corn. Wow, that’s quite the selection to choose from, but let’s consider health benefits and dietary options today shall we? There’s been much discussion on food and health blogs concerning gluten free options and the positive nutritional aspects that accompanies them over their flour based counterparts. What are the benefits exactly? For those with a very high intolerance to gluten products, corn tortillas are the way to go. The fat content in a corn tortilla is extremely low, containing less than a gram or so of fat, their possess little amounts of sugar and are a relatively high source of calcium and potassium. So for those looking at a low calorie gluten free option to satisfy their fresh Mex needs a corn tortilla is the ticket. 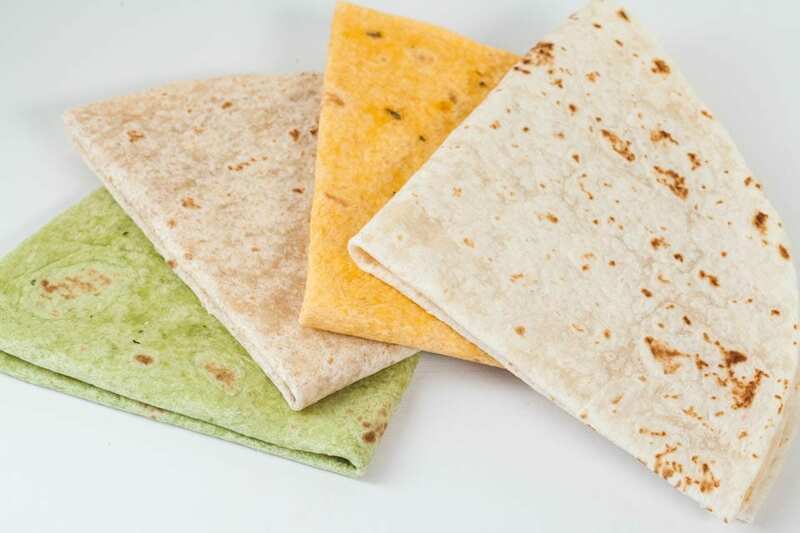 Now, let’s not knock the flour tortillas, they are still a healthy alternative to heavier breads, containing under 100 calories depending on their size. Their fat content is 2x that of a corn tortilla, yet their calcium and protein content is 2x that of the corn tortilla as well. There are benefits to sticking with a flour tortilla, the only drawback for those with dietary needs is that they still contain gluten. Wheat tortillas however can substitute the OG white flour tortilla, they are lower in sugars and are an excellent source of calcium. Whatever your preference, choosing a tortilla is still considered a lower calorie option compared to breads, it all depends on what you choose to fill it with! Next time you stop into Border Grill explore some of our tortilla options that are available. We are happy to accommodate to any dietary needs that you may have, just ask!